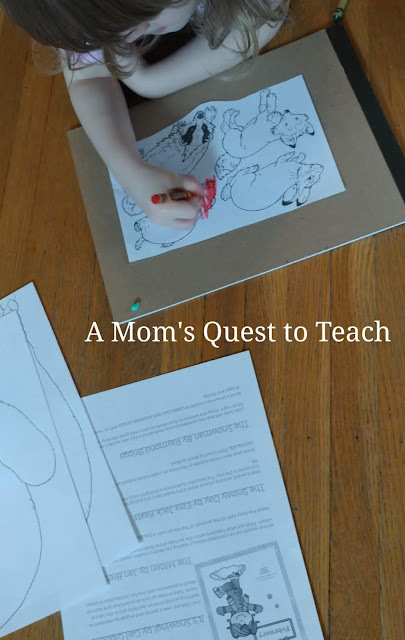 A Mom's Quest to Teach is a regular column covering elements of teaching and learning (with an eye towards homeschooling), parenting, crafting, and all of the discoveries, joys, and daily roller coaster rides that occur while being a mom. 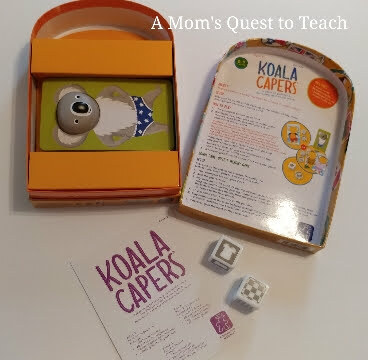 Another educational and fun game from Educational Insights is Koala Caper – a game of patterns, matching, and world travel. 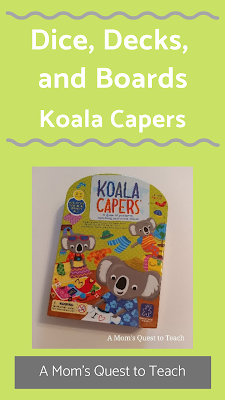 Perfect for ages 3 and up, Koala Capers helps build pattern recognition, observation skills, and good sportsmanship. Your game box contains 4 koala cards with plastic raised koala faces, 20 outfit cards, 1 jumbo pattern die, and 1 jumbo outfit die. 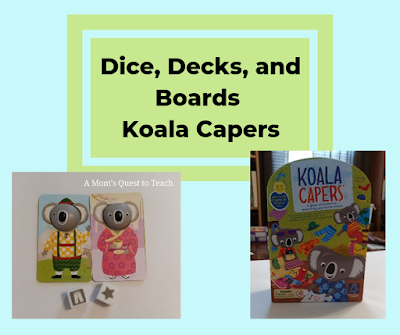 Two to four players will roll both dice and pick an outfit for their koala that matches the pattern and outfit dice. 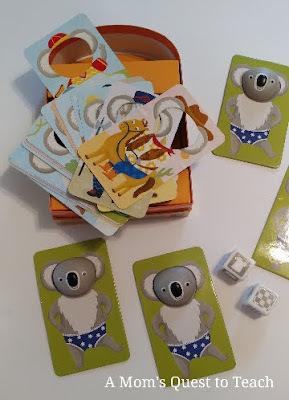 The first player to dress their koala with five outfit cards wins! The box itself for Koala Capers is colorful with the koalas packing to travel around the world. There are 'stickers' from around the world on the box which allows you to talk about geography with your children. The directions are provided in English (printed on the lid of Koala Capers and on a pamphlet) with the following three printed on enclosed pamphlet: Spanish, French, and German. 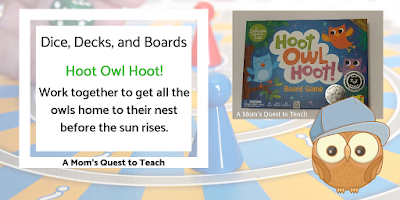 The directions include the basic "how to play" instructions and a bonus memory game. The outfit cards are laminated cardboard and could be bent or torn but a child would have to try to destroy them. In general, I think the game will stand up to average play by our three- and five-year-olds. 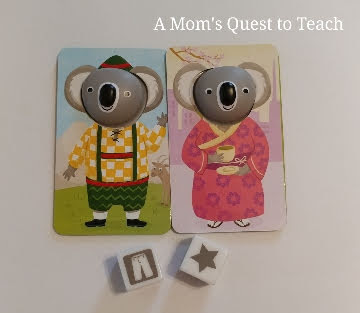 Using the outfit cards, you and your children pick one card and look up where the person wearing it is from in the world. For example, there is an outfit for a "beefeater" or yeoman warder. There are also cards for a cowboy and one exploring the poles. Using the dice, your children could design clothing. Roll the outfit die to see which piece of clothing your children will be designing. Then either using a template or asking your child to draw the clothing, roll the pattern die. Using the pattern that is rolled, your children can decorate the outfit. If you are a fan of the Mummy movies, you may be familiar with the name of Imhotep. The titular character of the original 1932 Universal film (as well as the remakes in the late 1990s and 2017) is the high priest, Imhotep. 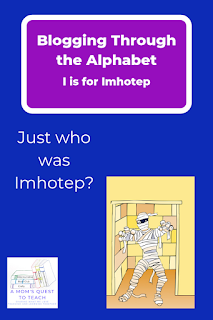 Besides the movie character, Imhotep, the most famous one is probably that of the great vizier or chief minister to Djoser (pharaoh during the third dynasty of the Old Kingdom). 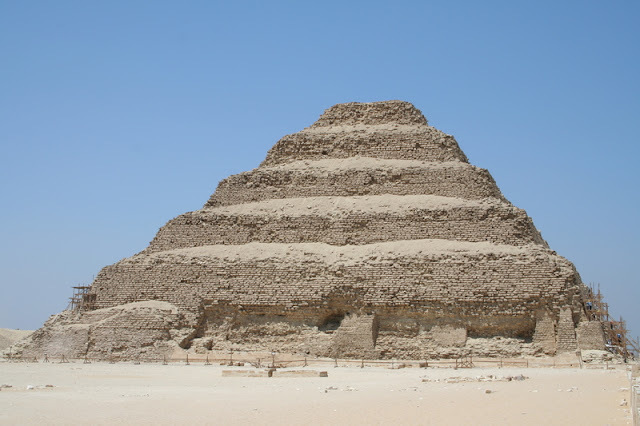 Imhotep was the architect of the Step Pyramid in Saqqara. He was remembered through Egyptian history as a sculptor and eventually was deified about 2,000 years after his death. He was identified with the Greek god, Asklepios (god of wisdom and medicine). Besides being the vizier of Djoser, Imhotep has been stated as having medical knowledge and being a priest. His fame grew over the years and he was deified. He would be compared with the Egyptian god of Thoth (god of wisdom) in addition to the Greek god Asklepios. Healing sanctuaries would be built, including one within Hatshepsut's mortuary temple at Deir el-Bahri. 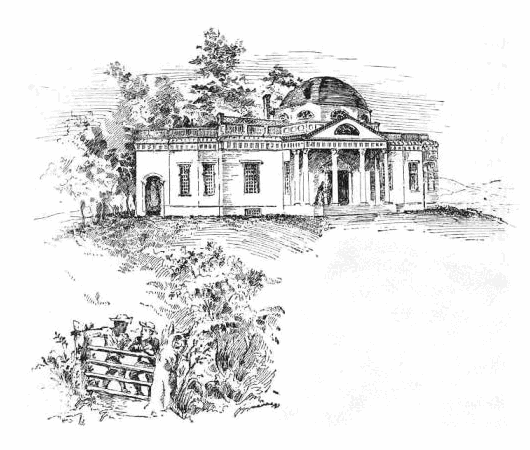 At these sanitariums, individuals hoped to receive a helpful or healing dream when they slept there. Eventually, Imhotep came to be seen as the son of Ptah. He became a favorite of bronze figurine sculpting during the late Egyptian and Graeco-Roman periods. There was also a cult center – the Asklepion – which was visited by pilgrims. These visitors left behind mummified ibises and clay models of body parts that they wished to be healed. When searching for the tomb of Imhotep at Saqqara, the sacred animal cemetery was accidentally found. Imhotep's pyramid was built c. 2650 BC for the third dynasty pharaoh Djoser. 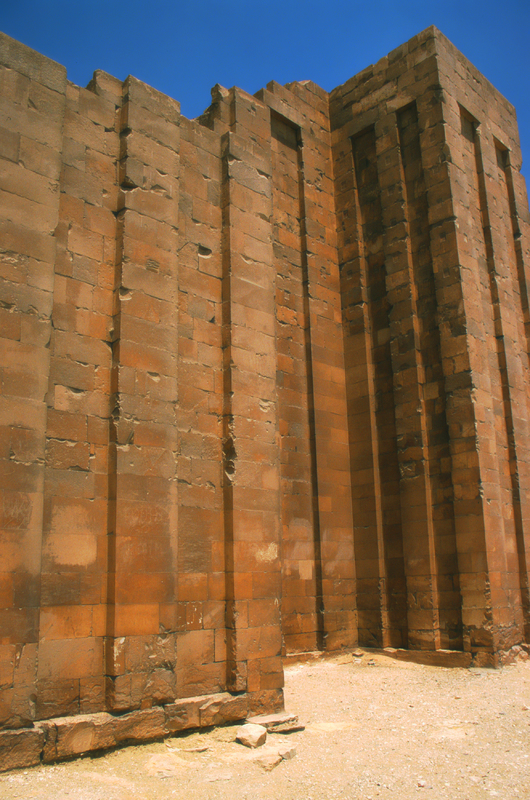 It measures 60 meters tall and at the time of its construction was the largest monument in Egypt. It was also the first to be built from blocks of limestone rather than mudbrick. It really does not look like the pyramids one typically associates as being in Ancient Egypt. It started as a mastaba (stepped burial building) before additional levels were added to create the pyramid effect. It developed in stages as the four sides were extended from the original square tomb and then converted into a six-stepped pyramid. The design may have taken on a step appearance as Pyramid Texts would discuss the ascent of the pharaoh climbing into the heavens. Perhaps this was designed by Imhotep as a ladder for Djoser to reach his destination in the afterlife. In addition to the Step Pyramid, the area contains a funerary complex of mortuary temples and a statue chamber. 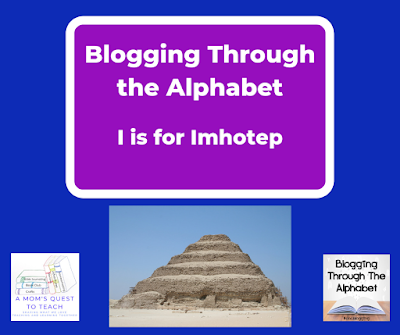 An inscription on site honors Imhotep as the master carpenter and sculptor along with carvings stating that Imhotep was a priest. There is a wall that surrounds the funerary complex at the Step Pyramid built of limestone but it imitates the mudbrick of earlier tombs. There is a roofed passageway with stone 'logs' carved for the roof and 'wooden' doors carved into the walls with hinges reproduced. The detail in the project sounds quite amazing. The movie character named Imhotep (first played by Boris Karloff) was a high priest who wished to resurrect his girlfriend (Ankh-es-en-amon or Anck Su Namun). 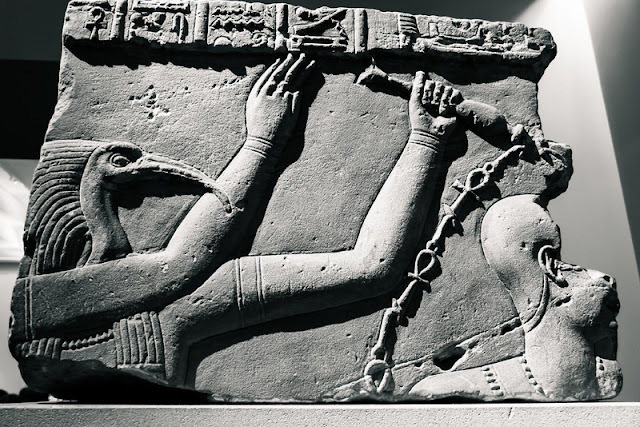 To do so his stole the scroll of Thoth and when discovered, his punishment was being buried while alive. Thousands of years later Imhotep's sarcophagus is discovered by archaeologists who accidentally bring him back to life by reading the scroll of Thoth that was buried with him. The newly-risen Imhotep uses his powers over the mind in his quest to secure the love of a woman who he believes is the reincarnation of his beloved princess. The other details of the story depend upon which version of The Mummy one watches. Would you like to learn more about Ancient Egypt? There are so many intriguing figures in Egyptian history. From studying mummies in general to reading about the gods and goddesses worshiped in Egypt, there is so much we can learn about the past. Do you want to join Blogging Through the Alphabet? Homeschooling a preschooler can feel a bit overwhelming. How will you create educational and fun activities for them over the course of one year? There are so many great ideas available and finding them when you need them does not need to be challenging. 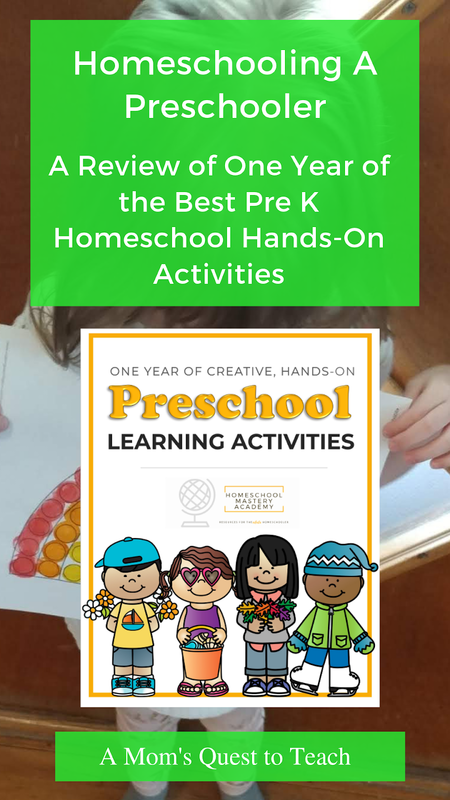 Using One Year of the Best Pre K Homeschool Hands-On Activities from Homeschool Mastery Academy will help you plan each day, week, month, and even your entire preschool year for your homeschool. 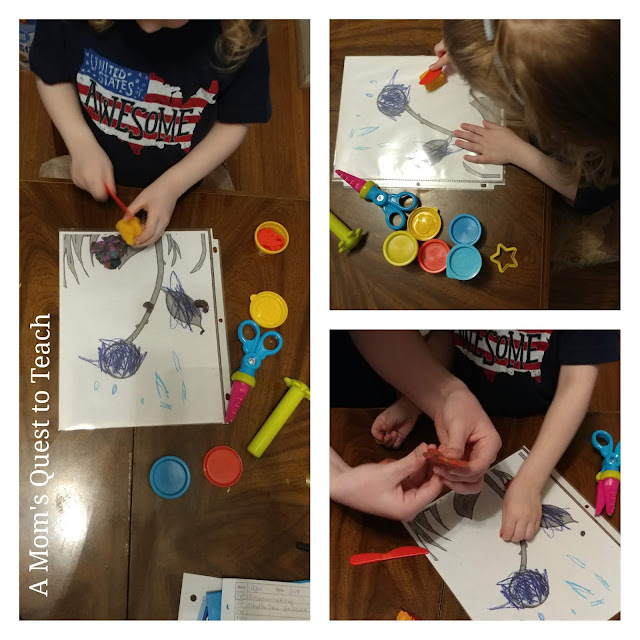 Reviewing the activities from Homeschool Mastery Academy with our daughter has been so much fun! There are monthly themes, book suggestions for each month, a calendar with activities for each day of the week, and two printables per month. 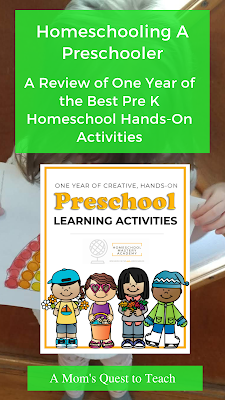 There are 53 pages of educational things to do with your preschooler that ranges from arts and crafts to development of fine motor skills and pre-writing. You could use this in your homeschool for a relaxed approach to preschool or to supplement another curriculum. Please note: One Year of the Best Pre K Homeschool Hands-On Activities is in full-color but I needed to print out the worksheets in black & white. In January, you and your child can study about arctic animals together by reading Owl Moon by Jane Yolen and create a glow-in-the-dark mobile. 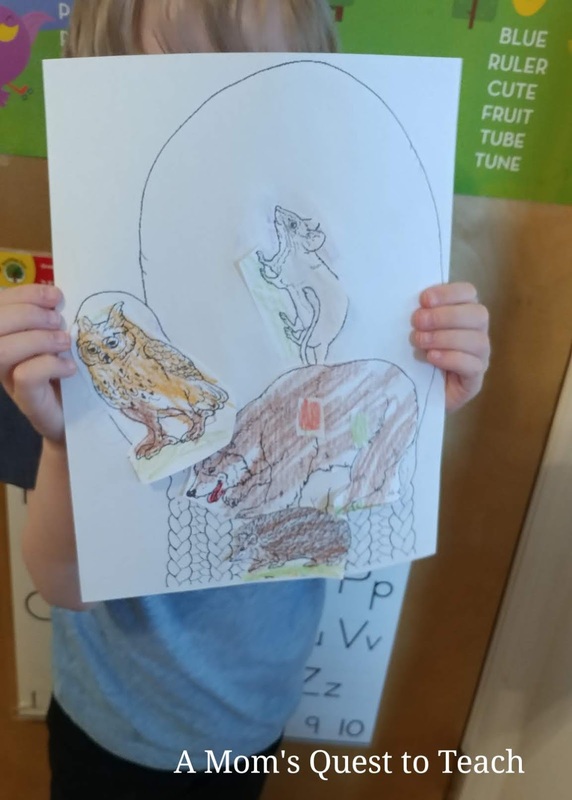 During the month of February, as the snow falls, you can read The Mitten by Jan Brett and retell the story of the animals squeezing into the mitten. 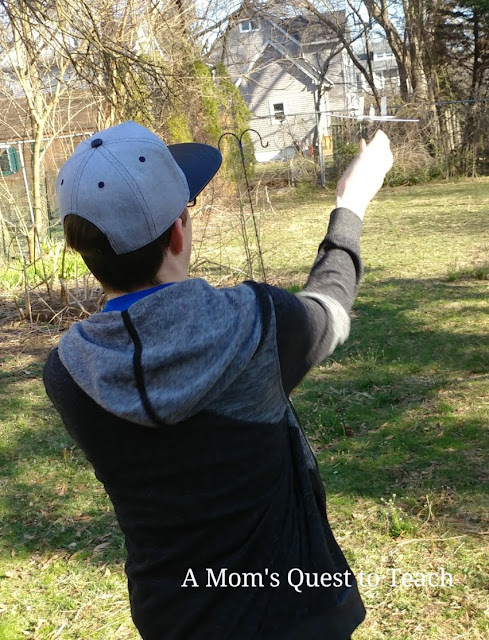 With spring arriving, March, April, and May lessons focus more upon the changing of seasons, insects, and new growth. We spent the majority of the review period completing activities as suggested in April. 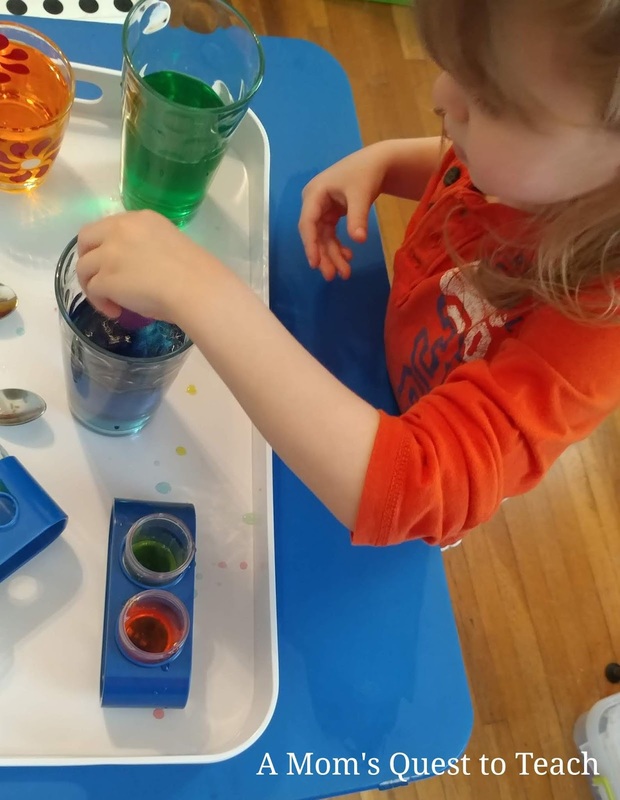 The theme for April was Rainbows and our daughter was very excited to try to create her own rainbow in a jar. I gathered together all the materials necessary and my husband and I worked on the experiment with her. While we were not able to achieve the desired results of the experiments (our colors kept mixing – I think we may have needed to have added more sugar to the water), our daughter was very excited to mix the colors. She probably would have spent hours just mixing the colors. I love finding activities that provide her with entertainment and education at the same time. 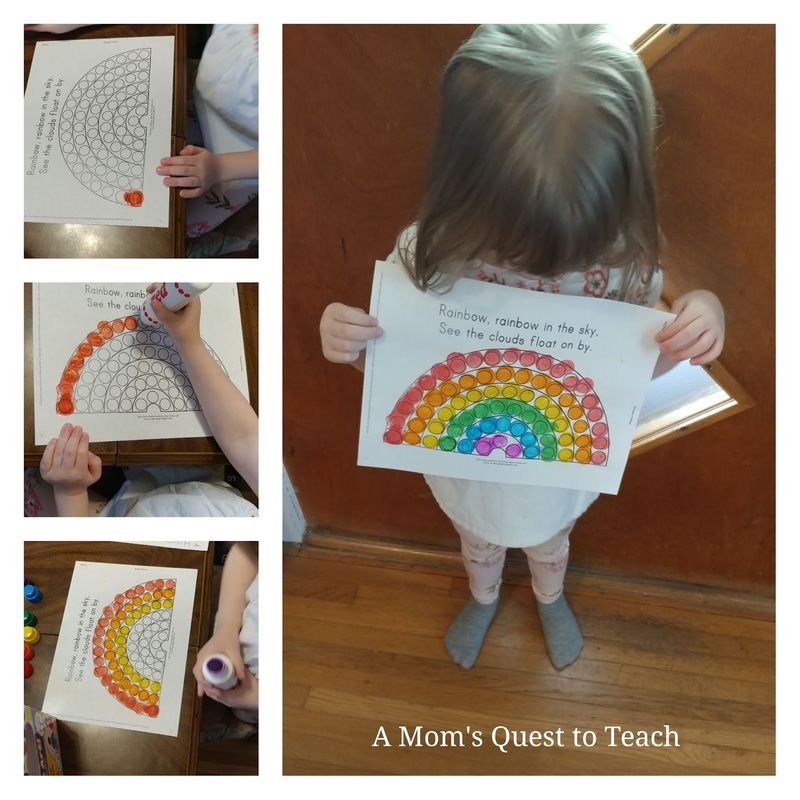 Knowing that she loves using dot paints, I printed out one of the rainbow pictures from the link provided in the April calendar. We lined up the colors in the correct order for the rainbow and she happily 'painted' away. 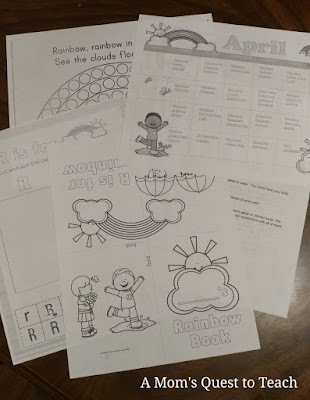 We also used the two printables provided for April – Rainbow mini-booklet and R is for Rainbow capital vs. lowercase letter R sort worksheet. 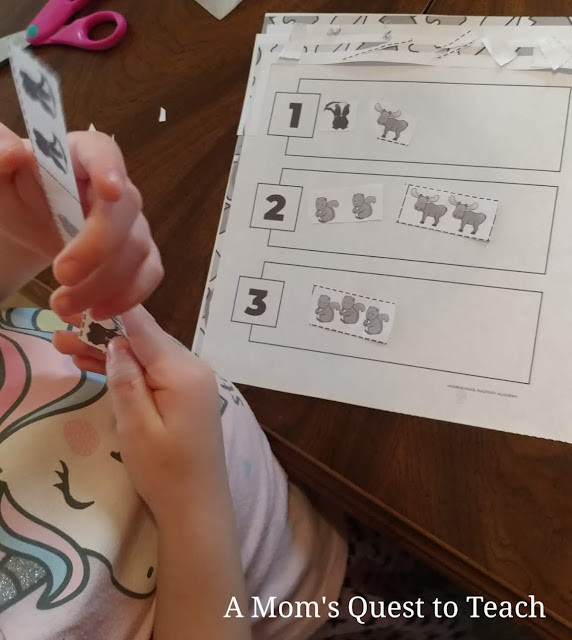 The cutting and sorting worksheet was a big hit with her. 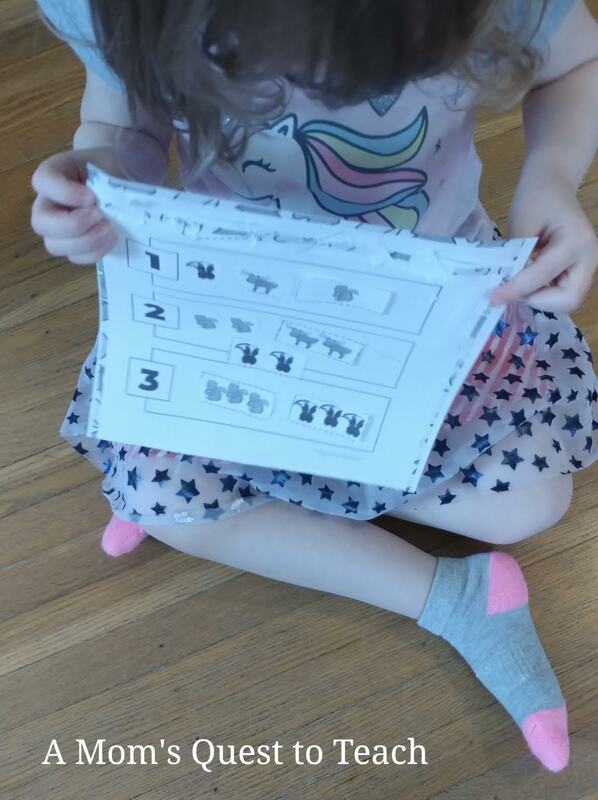 When I asked her why she liked doing the cut and sort worksheet, she said: "Cause it is cool. I had much fun." 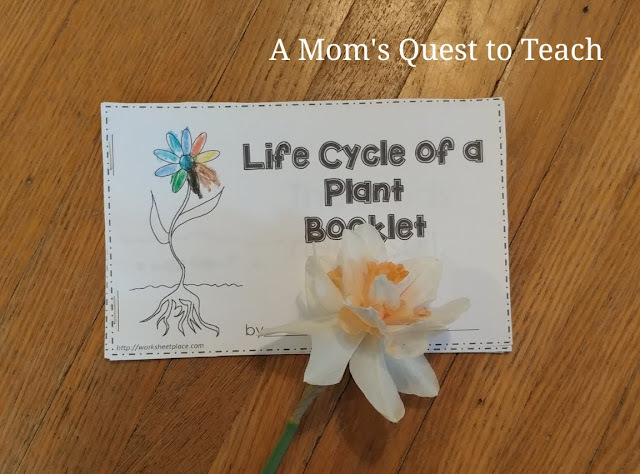 With flowers starting to bloom in our own yard, we completed one of the activities from May so we could talk about how seeds grow. We read The Tiny Seed by Eric Carle and completed the Life Cycle of a Plant Booklet. Our daughter was also very happy to pick out daffodils for the house so we could compare them to the flower in the booklet. Another activity from May is that of the Play Doh flower mat. I printed out the mat for our daughter and let her use another favorite supply - Play Doh. 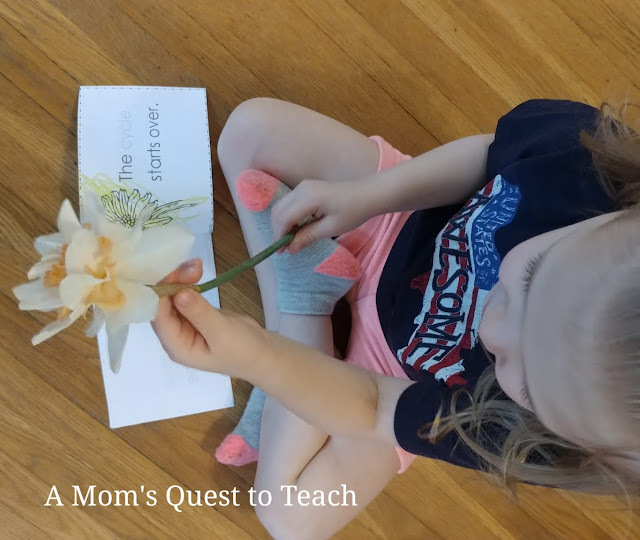 Unfortunately, she did not make petals for the flower but that is to be expected with a preschooler. 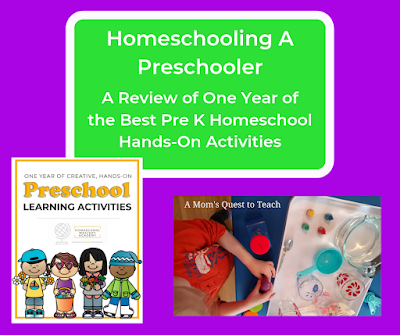 Plans will need to be changed and adjusted (and that is another reason why One Year of the Best Pre K Homeschool Hands-On Activities is good: because there are so many options available to pick from for your preschool). We also completed two projects from September (although I modified the Fall Yarn Wrapping from the calendar). Our daughter really likes learning about numbers so printing out the Cut, Count, and Sort printable was obvious for me. 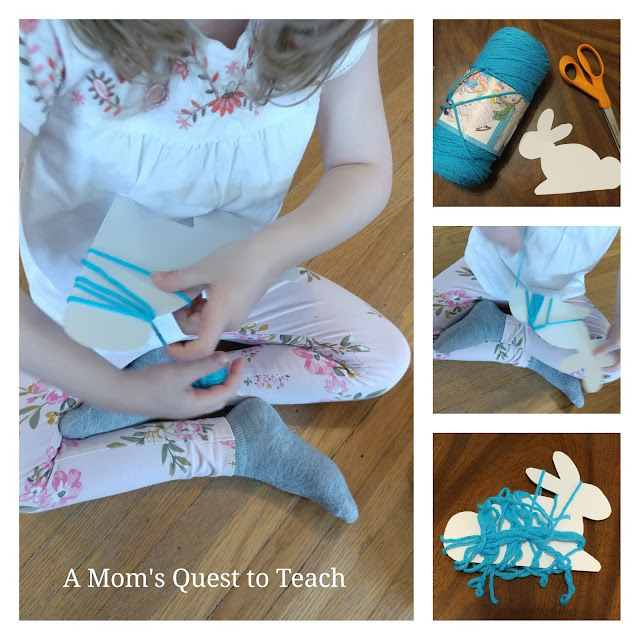 We also worked on yarn wrapping but instead of a fall object (like a leaf or pumpkin), she used a bunny that I cut out of cardboard. She had fun wrapping and unwrapping the bunny over and over. I asked her what she liked about the yarn wrapping project and she said: "the wrapping of it (while mimicking the actions)." 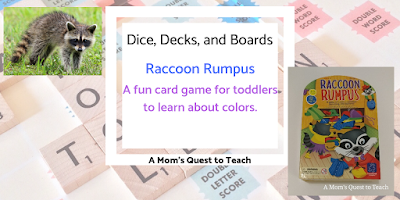 This is a solid, well-planned eBook with lots of fun activities for you and your preschooler. Our kindergartner also had fun joining in on some of the projects so if you don't get to finish them all in one year, you can complete it the next year. As our daughter gets a little older, I will ask her for some guidance on which activities she would like to work on during each month. I look forward to the summer months to explore picnicking and under sea activities! Do You Want to Learn More about Homeschool Mastery Academy? 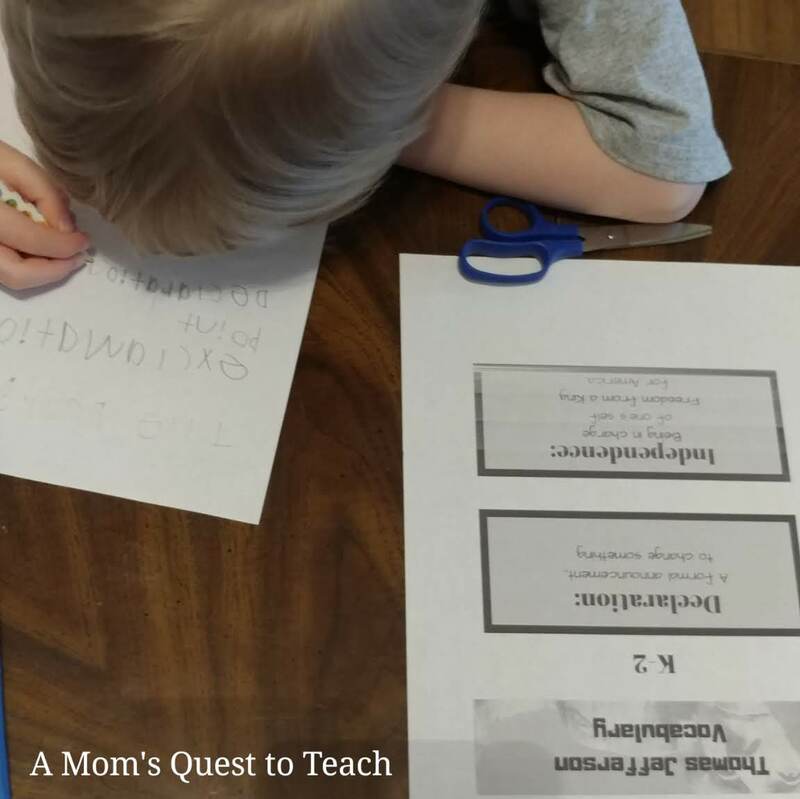 Homeschool Mastery Academy will help you create the best possible educational experiences through courses, printables, coaching, blogs, and an online community. With a team of experts providing a variety of resources, homeschooling parents are sure to find a way to be successful. We received a digital copy of the Thomas Jefferson Unit Study (K-6) (49-page PDF) to use in our homeschool. 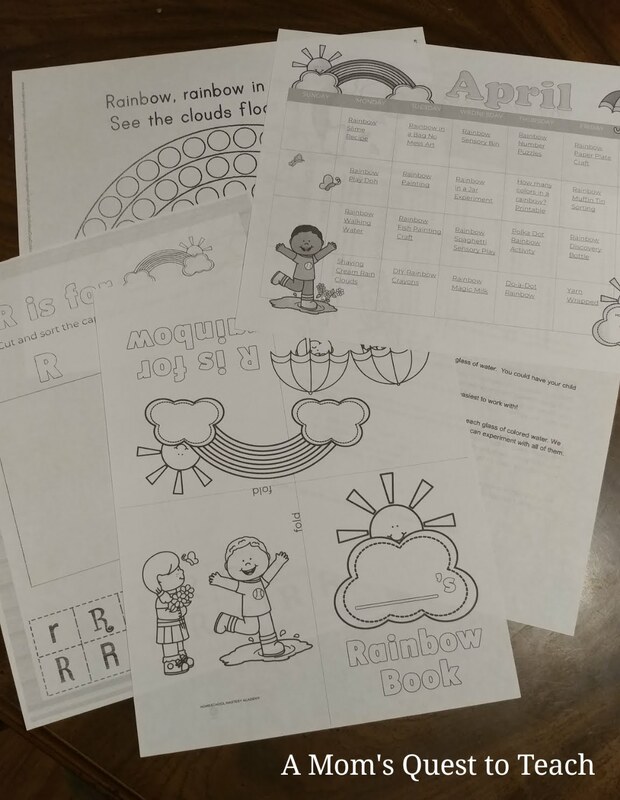 It is written to be used over the course of one week and has parts for K-2 and 3-6 grade students. In each of the President studies there are mathematics pages, landmark pages, fact and timeline pages, and a variety of other activities provided. 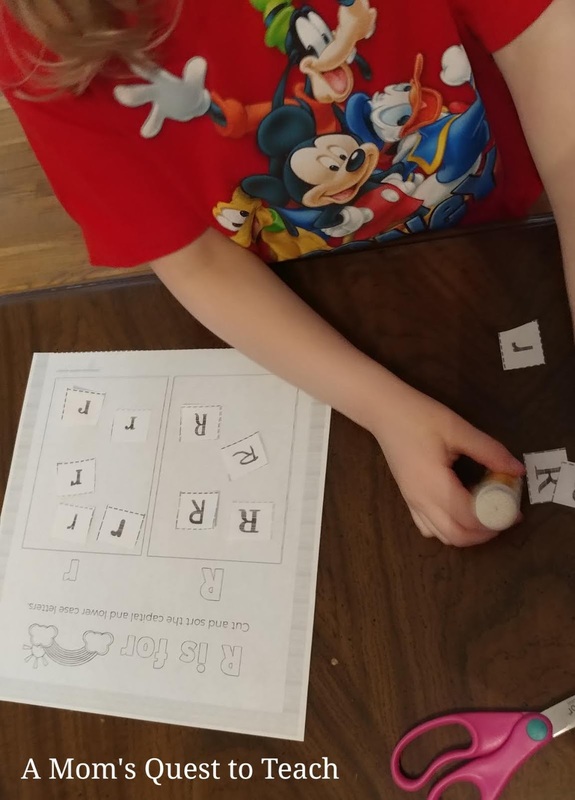 On the next day, I requested our son cut out the two vocabulary words so we could hang them up and then he also wrote out some of the words in which he was unfamiliar with the definitions. We then worked on one of the math worksheets ("Circle the group that has more"). 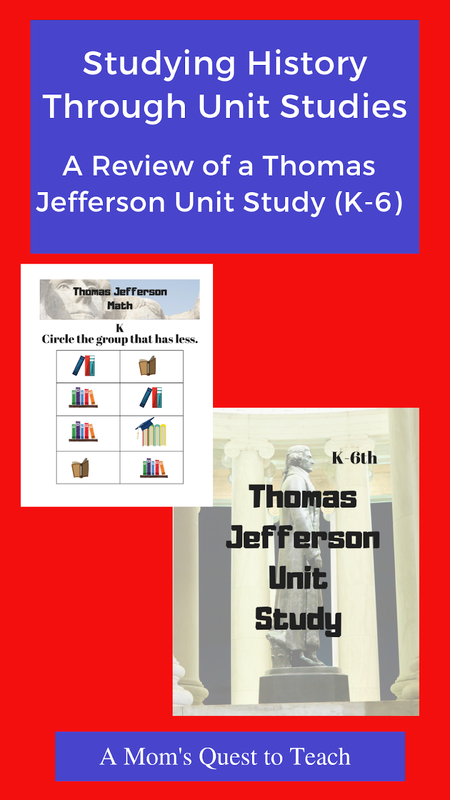 On the same day, he completed the second math worksheet ("Circle the group that has less"), we read about the Declaration of Independence and looked through our library books on Jefferson. He referred to the vocabulary words that he cut out the previous day. Finally, we spent time looking at the landmark photos provided in the unit study and working on some geography. For the list of places named for Jefferson, we sat at the computer and looked up locations near our home. We also looked for places on our United States Map. Personally, I like that it is "an open and go" book which allows a homeschooling parent to use the unit study in conjunction with other products by Sarah Bean or with whatever works best for their children's learning styles and needs. One of the great things about homeschooling is the freedom that it provides families. 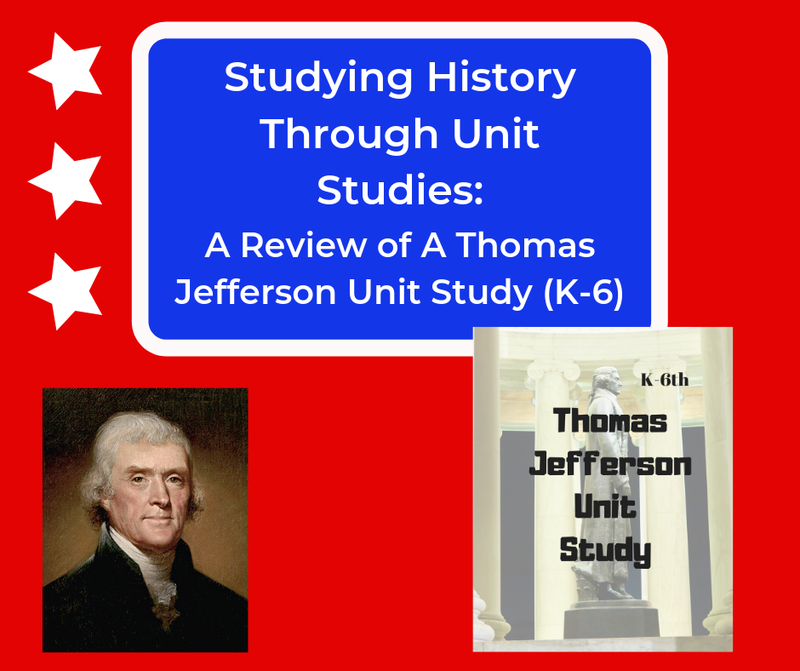 Unit studies like this are perfect for that purpose. 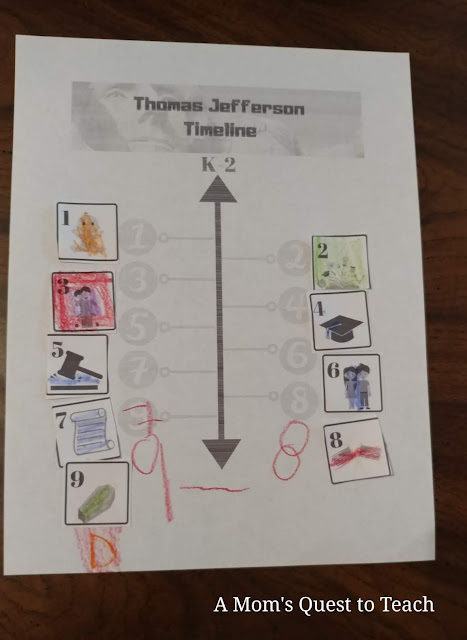 Our kindergartner really enjoyed learning about Thomas Jefferson. I felt that the information and worksheets were just right for him. 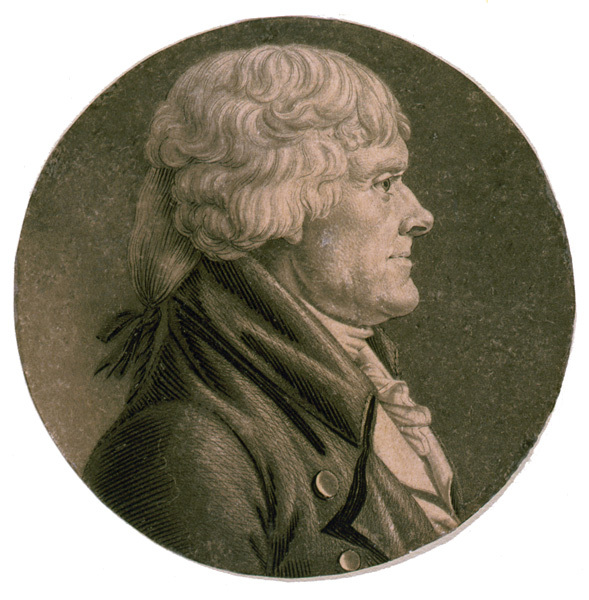 And we would be able to do more research on our own if he wanted to learn more about Jefferson. 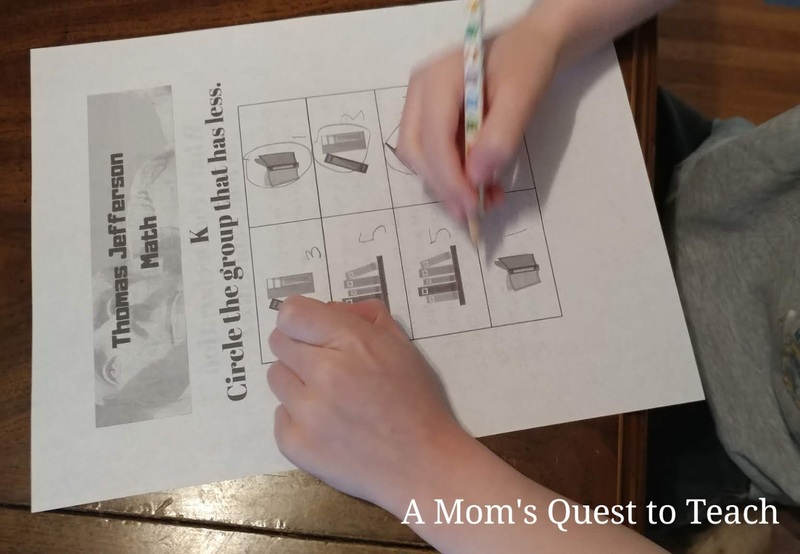 This was a fun unit study to use in our homeschool. 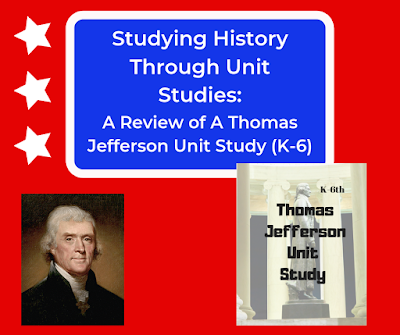 While the Thomas Jefferson Unit Study is available as a download, I would recommend purchasing the printed Thomas Jefferson Unit Study (bound or unbound) because there are full-color photographs and illustrations. This will really help your time studying the third president of the United States come alive! Print versions are now shipping! Do you want to learn more about Raising Human Beans or Love at Home Education? 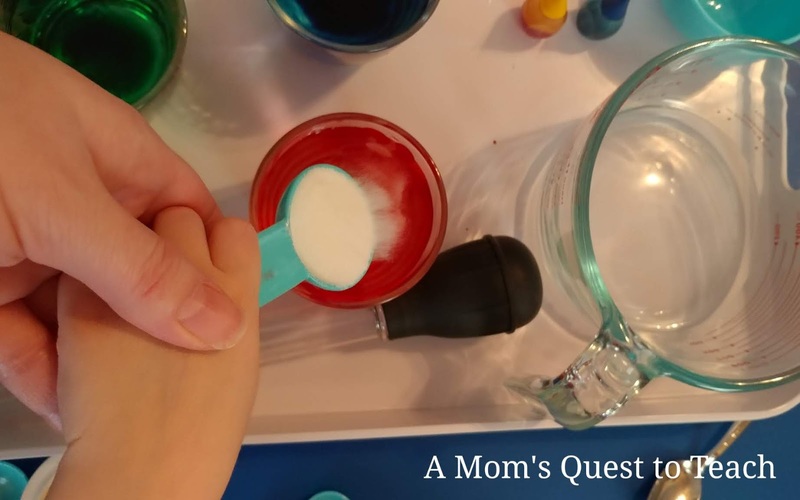 Finding an online science curriculum can be difficult for homeschooling families, but with CrossWired Science you will find "a whole new way to do science." 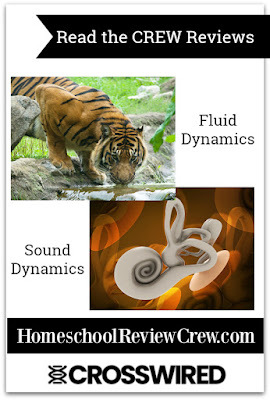 Our family had the chance to review two engaging units: Sound, and Fluid Dynamics over the past several weeks. Both our older teenage son and our younger kindergartner son were able to use the units due to the nature of CrossWired Science. CrossWired Science sets forth 17 goals to explain why they do what they do. Their chief purpose is to please the Lord and "share our excitement about what God has done in His creation with young people and their families across the world." By providing new resources, new experiences, and new opportunities, CrossWired Science hopes to create life-long learners who will spend more time outdoors and see the beauty in God's creation. Science does not need to be difficult and can incorporate reading and learning together as a whole family. These are good goals and if you wish to read more about them, you can read them here. 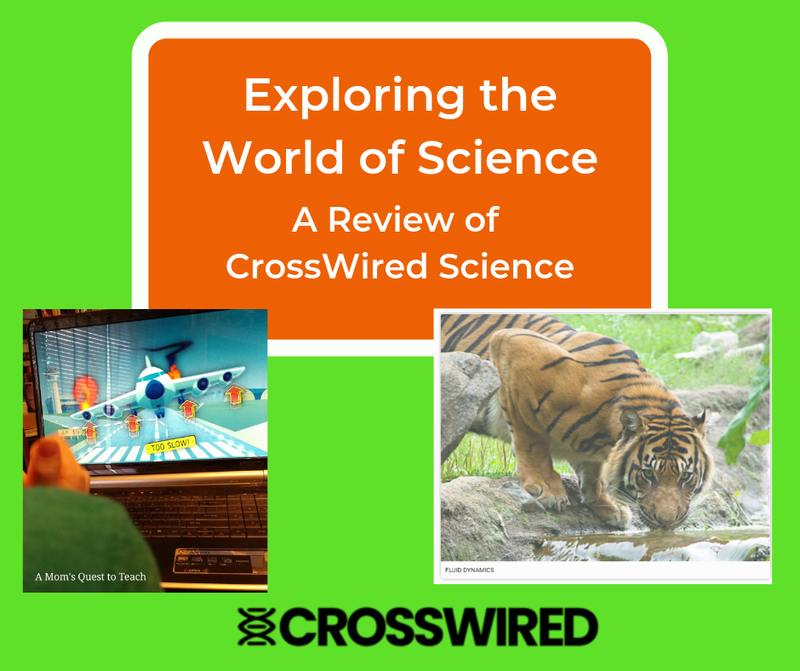 When I first started using CrossWired Science during the review period, I was overwhelmed and confused. This style of learning seemed very foreign to me. As a former history teacher, my mind tends to work in a straight line and CrossWired Science offers students the opportunity to jump off the line and research what interests them. I took some time to talk with a fellow reviewer who provided advice and encouragement. 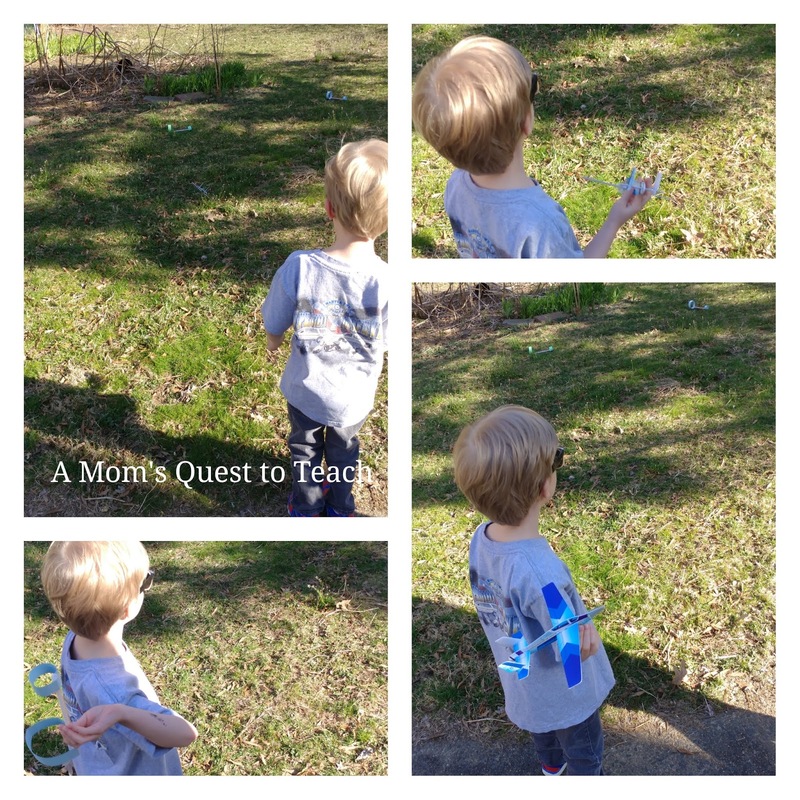 I began running with CrossWired Science where it led our kindergartner. We let our interests guide us based upon the videos and suggestions in the curriculum. 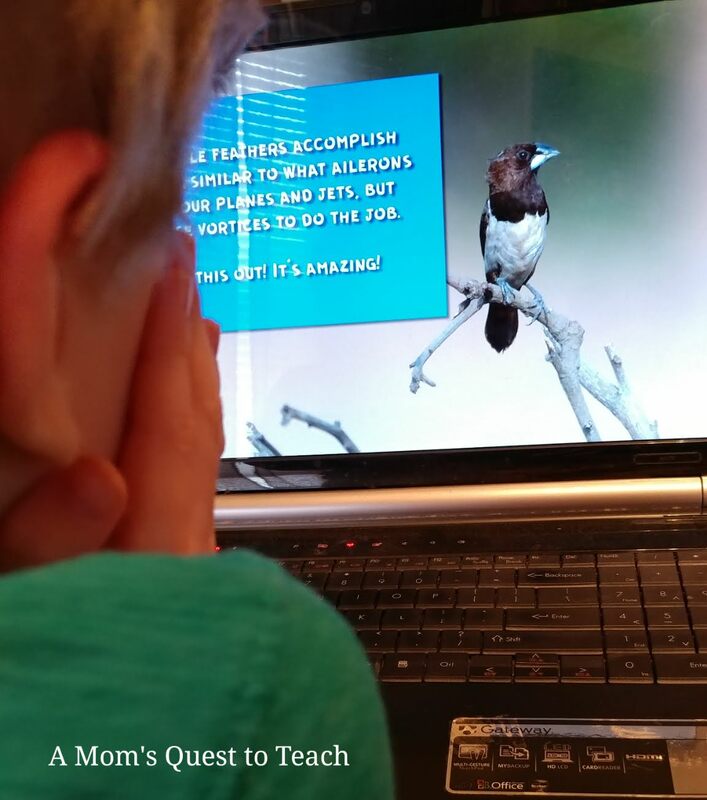 Now that I had a better way to approach the curriculum, our five-year-old son and I got working. As CrossWired Science is also brand new there have been some positive changes made over the course of our review period. 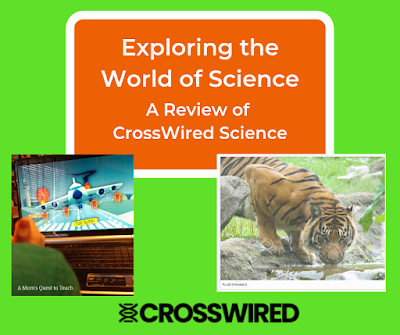 The addition of worksheets, the correction of quiz questions, and more experiments have also shown the care and concern of CrossWired Science to offer a product that will be useful in your homeschool. 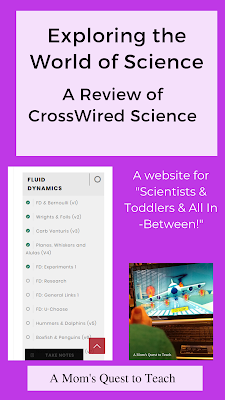 At the time of this review CrossWired Science offers two Global Topics: Fluid Dynamics which focuses upon objects (planes, animals, etc) that move through air and water and Sound which focuses on all things relating to sound. One of the educational keys as outlined by CrossWired Science is that students should be able to bridge between different topics. So as we studied Fluid Dynamics, our son became interested in reptiles after viewing one of the General Links videos about Chameleons. Depending upon how much time you and your children spend on each topic and activity, you could spend from as little as 22 days on one Global Topic to as long as 43 days or more. So we spent about a week studying different types of reptiles and thus our progress in the course is slower than originally anticipated. 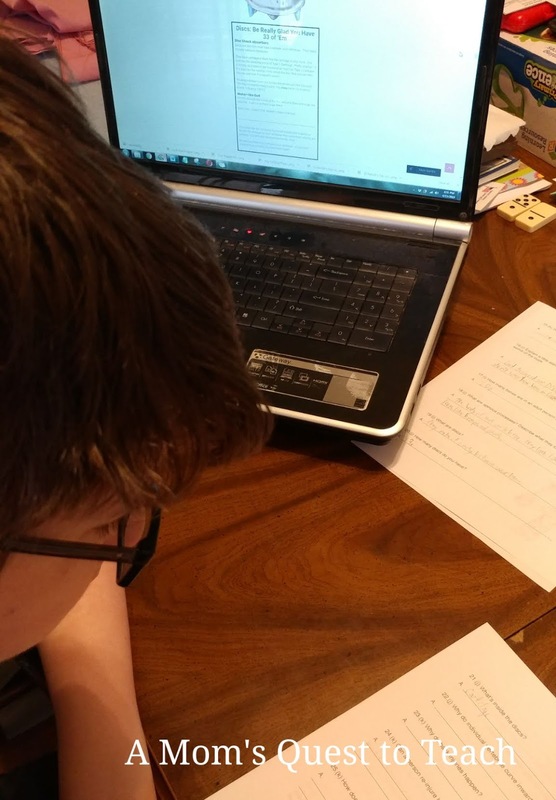 As the review period progressed, CrossWired Science added more and more things which have made the curriculum easier for me to navigate and use. For example, when we began watching the videos, we sat and watched them not really knowing what were the most important things to focus upon. A short while ago, they added question sheets that I have printed out and used with subsequent videos. 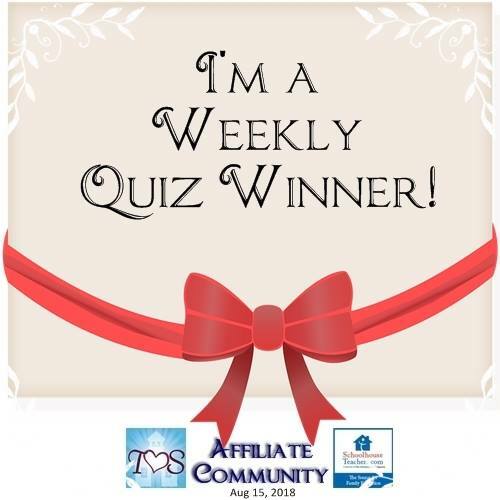 The questions help us focus on key points to answer the quiz questions at the end. Our family is moving at a more leisurely pace while studying Fluid Dynamics. 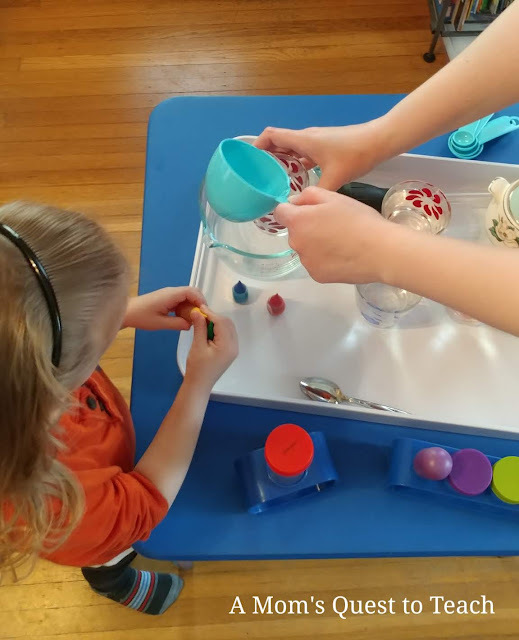 Our kindergartner is the main student using the lessons while our teenage son and preschool daughter are joining in for some of the activities and experiments. The first four activities within Fluid Dynamics are Core Videos. 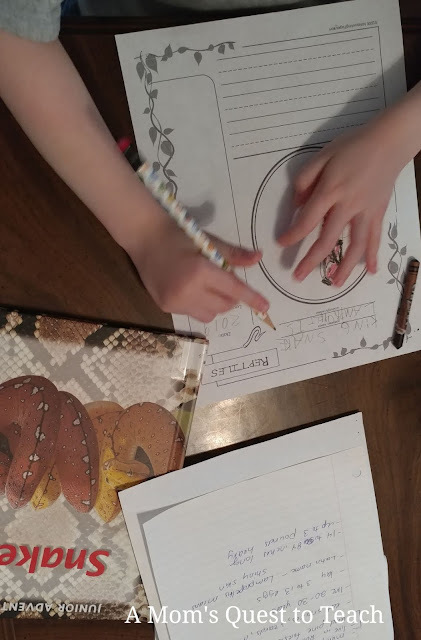 Our kindergartner and I watched them together and I took notes until CrossWired Science added the worksheets – now I use the worksheets to take notes. We take the quiz together while re-watching the Core Videos. Some of the questions do seem a bit difficult even after taking notes using the provided worksheets. I can view the correct answers through the parent portal but our younger son would like to see them, as well (he loves going over his online games, quizzes, etc). The lessons provide a variety of ideas all linked to a common thread – Fluid Dynamics. I looked through the Research and and Reading sections to find ideas for reading, notebooking, and other projects while we watched the first four Core Videos. Reading one of the books we checked out of the library. Our son wanted to learn more about Earthquakes. 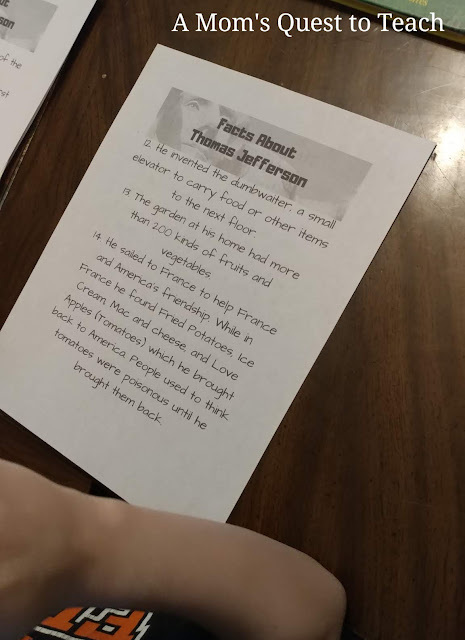 U-Choose is the "free-for-all area of the Global Topics" that allows your child to research something that interests them and does not have to be connected to the Global Topic. While watching the video about chameleons from the General Links, our son said he would like to learn more about reptiles. 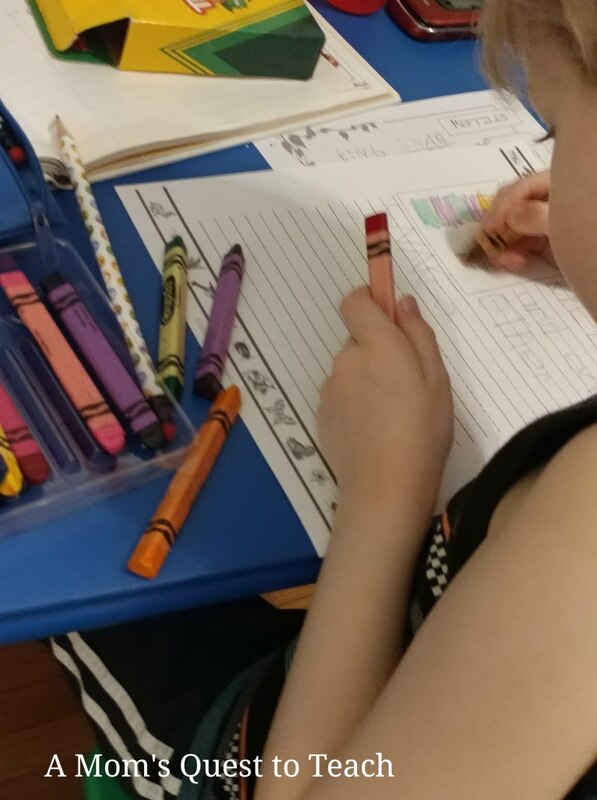 He is working on a Reptile Notebooking Project using books from the library. There are also several lessons entitled "Gold Dig" which allow each student to dig deeper into one topic. For Fluid Dynamics, the Gold Dig focuses upon bones. 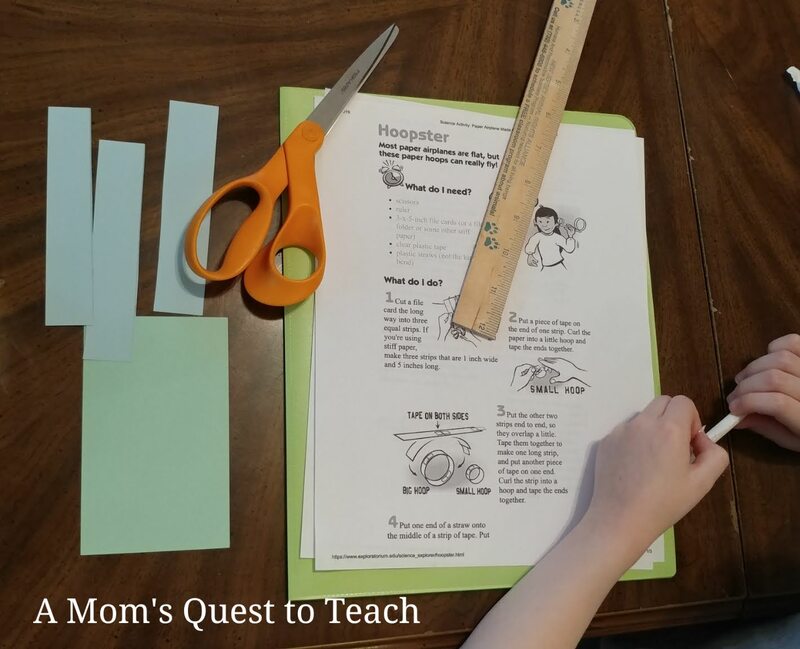 As the material appeared to be more appropriate for an older child, I asked our teen to work on the worksheets and read through the material. This makes CrossWired Science a good supplement for his General Biology course this year. Please Note: We are only using one account but I wanted to make sure I could address all aspects of CrossWired Science – even those that were too difficult for our kindergartner – so I asked our teen to complete parts of it now and in the future so I could have a better understanding of the curriculum to share with you. He did need to shrink the size of the image and font on the screen to be able to have more information visible for each question at one time. Our teenager had only one question about one of the statements and completed the first worksheet (Bones 1) between 30 and 45 minutes. 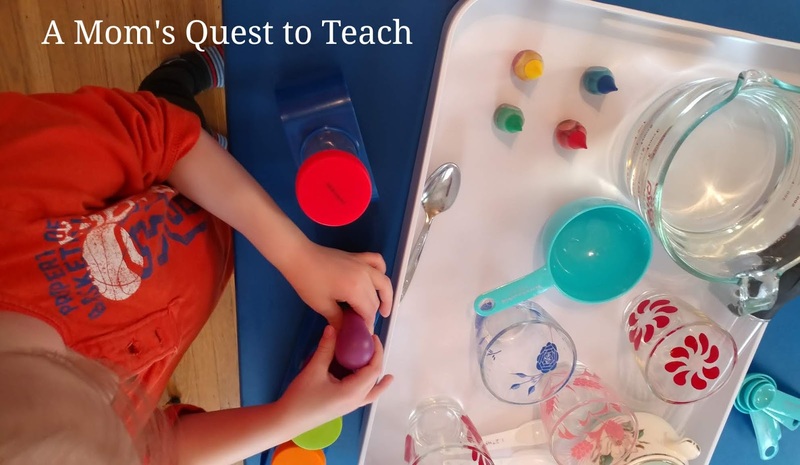 I like that there is a great variety to the lesson types – videos, discussions, labs, reading, etc – and that the material can all be tied together or crosswired. Life, Earth, and Physical science are woven together in CrossWired Science. The fact that many of the issues and problems I had were being worked on behind the scenes is fantastic in my eyes. 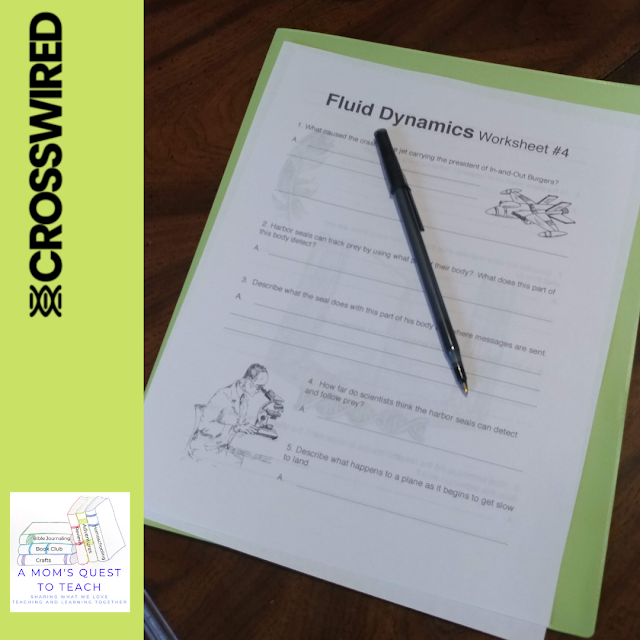 For example, I had trouble knowing what to focus upon in the Core Videos and a short while after we started, CrossWired Science had added the worksheets. These helped immensely. In the General Links, the links to the YouTube videos are not clickable. They are protected so children cannot just click on it by themselves. As with all online education, it is important to provide means as safe as possible to studying—with or without parent supervision. If you are unfamiliar with a curriculum that is open-ended and allows you to follow your own path to learn more, CrossWired Science might intimidate you, as it did me in the beginning. Part of the problem I had was there is also a lot of clicking to open new tabs to read directions and information. As CrossWired Science wants to bring out the glory of God's creation, this curriculum would not suit secular homeschooling families. There are devotions that relate directly to God and the Bible as well as young earth videos in the General Links. Both Global Topics are set up in similar ways. So we will be able to complete the one on Sound without any real learning curve. So far, we have viewed several of the General Links about animals' teeth, volcanoes, and baby toucans. And I am looking forward to spending time studying bats and echolocation with our children. I am also excited to do some of the Sound experiments with our children. We will be able to create string phones while we talk about how sound works as well as take a look at record players. 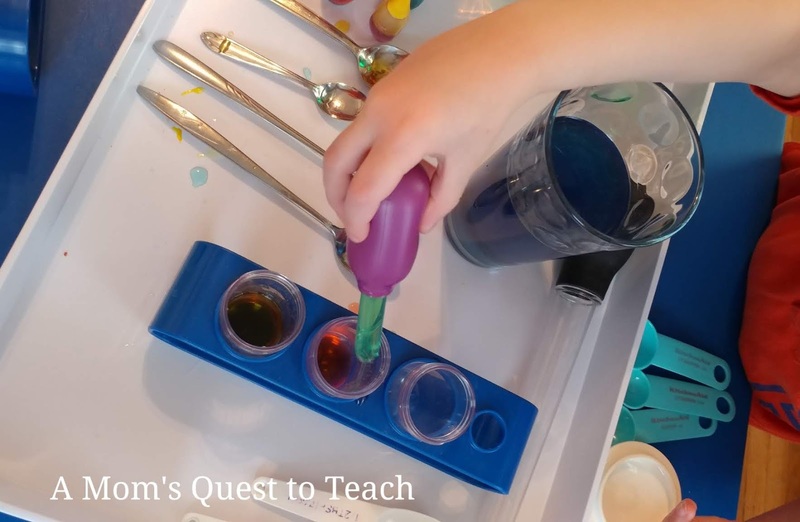 Some of the experiments require more materials than others but—since there are a variety to pick from—you will probably find at least one to suit your homeschooling family. During the next few weeks, our teenager will continue answering the Gold Dig questions and work on the Teen Devotionals of both Fluid Dynamics and Sound. One of the lessons included in CrossWired Science are Teen Devotionals. In the Sound course, one of the Teen Devotionals is about humility. A story is shared about the perfect timing of a tree falling on a car and the individuals in the car being safe. "Proper perspective keeps us walking near to Him where He can do more than we ever expected." There is also space for students to address the devotionals. 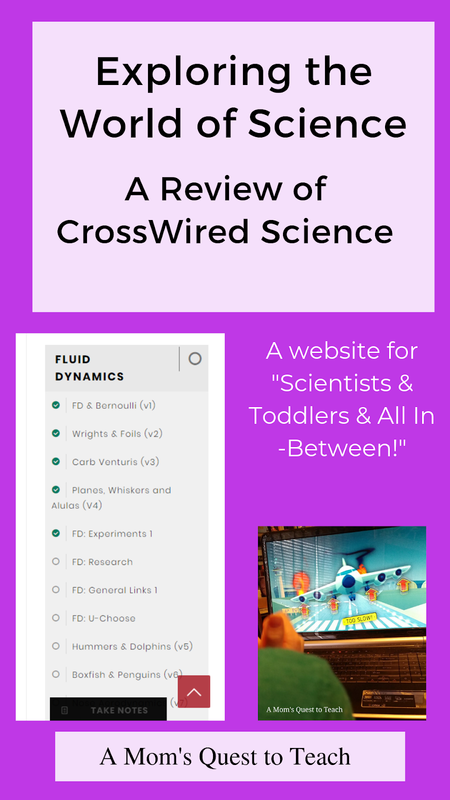 Please check out CrossWired Science at the following sites and don't forget to check out the other reviews to see how other homeschooling families incorporated the Global Topics into their day. I am a housewife and mother to a teen stepson and two younger children. I am a certified social studies teacher and I have worked as a volunteer at a National Park site, in the education department of a metropolitan zoo, and as a high school history teacher. 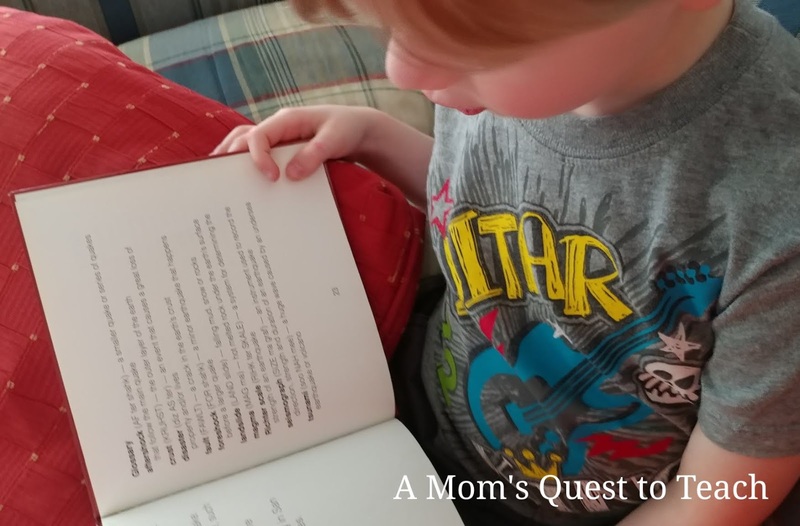 Copyright © A Mom's Quest to Teach. 2018. All rights reserved.